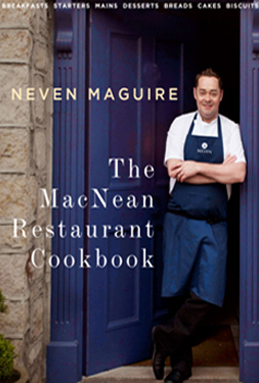 Neven Maguire’s new cookbook celebrates 30 years of MacNean Restaurant. This beautiful book celebrates 30 years of outstanding cooking at MacNean Restaurant in Blacklion, Co. Cavan. Originally run by Neven Maguire’s mother, MacNean’s is where Neven learned to cook and is now one of the most talked about and frequented restaurants in the country. All of the restaurant’s signature dishes are here, including ‘MacNean Special Porridge With Honey And Cream’, ‘A Study Of Shellfish’ and the famous ‘Orchard’ dessert. Other hugely popular recipes included are ‘Gratin Of Cod With Prawns’, ‘Bruschetta Of Wild Mushrooms And Asparagus’, ‘Salmon Sausages With Creamed Leeks’, as well as classics like ‘Pepper Steak With Gratin Potatoes’ and ‘Roast Rib Of Beef On The Bone With Yorkshire Puddings’. With a foreword from Ross Golden-Bannon, the book also includes atmospheric shots of the restaurant and staff at work. 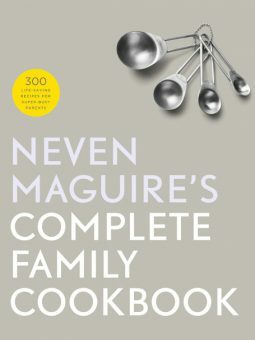 From a very young age, one of Neven’s favourite pastimes was to shadow his mother in the kitchen, watching her cook. 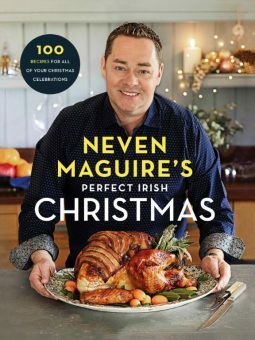 His pastime soon became his passion, as he began experimenting with ingredients in the home kitchen at the tender age of 10, a passion that only intensified as Neven went through his teenage years. After studying catering in Fermanagh, Neven went on to train in some of the highest profile restaurants in the world, including Roscoff, Belfast (Michelin Star winner); Grand Hotel Berlin (Michelin Star winner); Arzak, San Sebastian; and with Léa Linster, the Luxembourg chef he credits as a major influence on his cookery style. In 2001, Neven took over the family business, and turned a local restaurant into a national phenomenon. 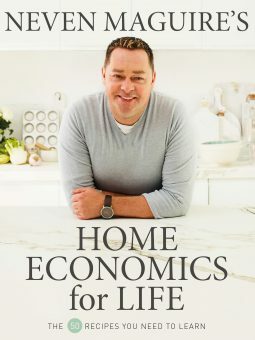 Neven is the author of many bestselling cookbooks. This is his first restaurant cookbook. The McNean Restaurant Cookbook is priced at €25.00 including postage & packaging for ROI (Republic of Ireland) and UK customers.